When Should an Expatriate Fix Unfiled Back Taxes and other Mistakes? There are many reasons why a person can fall behind on their tax filings. For expatriates living outside of the United States, in nations like Hong Kong or China maintaining compliance with tax laws and foreign disclosure obligations can be significantly more difficult. Part of the reason for this fact is simply practical in nature. That is, individuals who are living outside of the United States are removed from many reminders of daily life and obligations. They are less likely to see reminders about the tax filing deadline on T.V., in the newspaper, or in other media. As such, it can be incredibly easy to fall behind on tax obligations without ever intending to do so. At U.S. Tax Help, CPA Ted Kleinman has assisted taxpayers living abroad for more than 30 years. Ted can assist with catching up on missed past filings, correcting tax mistakes, or handling all aspects of your tax compliance going forward. To discuss how Ted can help you fix your tax mistakes, please schedule an appointment. If you have made investments and experience a windfall due to savvy decision-making, you may wish to cash out and deposit the proceeds in your bank account. However, taking these steps can trigger unwanted scrutiny from the IRS or state tax agencies. This is because when a taxpayer makes a large deposit to his or her bank account, there is always a chance or inevitability that the bank will report the transaction. For cash transactions greater than $10,000, the bank has a duty to report. If you break these transactions into smaller amounts, the bank may report you regardless due to suspicions of “structuring.” Even if your transaction does not involve large amounts of cash, banks still have the discretion to report “suspicious” transactions. These reports will often attract the attention of tax regulators and auditors. Therefore, if you have unexpectedly come into a large sum of money or if investments have finally paid off, it is wise to address past tax noncompliance before depositing the funds. Taking this type of an approach can reduce the likelihood that the taxpayer will face an audit or other tax enforcement action due to a report by a financial institution. Since the passage of the Foreign Account Tax Compliance Act, the IRS and various tax agencies have spared no expense in informing taxpayers of their disclosure duties. Generally speaking, taxpayers who hold assets in foreign accounts above a certain threshold must make an annual report of the assets. Taxpayers must satisfy this obligation through ha FATCA filing, an FBAR filing, or by filing both. Unfortunately, the technical requirements regarding who needs to report and which accounts are reportable have generated and still generates a great deal of confusion. In many cases, these confusing and often seemingly contradictory technical requirements lead to mistakes that could result in huge fines and penalties. In fact, even an accidental FBAR error can be punished by a fine of up to $10,000. Furthermore, offshore mistakes are also often used to justify a more thorough look into the rest of your finances. The good news is that, if you have made mistakes, all is not lost. However, time is of the essence. If you have made honest mistakes regarding offshore accounts including failing to file a discourse or making an incomplete disclosure, the Streamlined Offshore Voluntary Disclosure Program may be able to protect you from a worst-case tax penalty scenario. An expatriate who qualify for the program can come back into compliance with the U.S. Tax Code with no offshore penalty. Taxpayers living in the United States can achieve a similar result but will need to pay a significantly reduced offshore penalty. However, if you come under investigation before applying for the program, you will be ineligible. 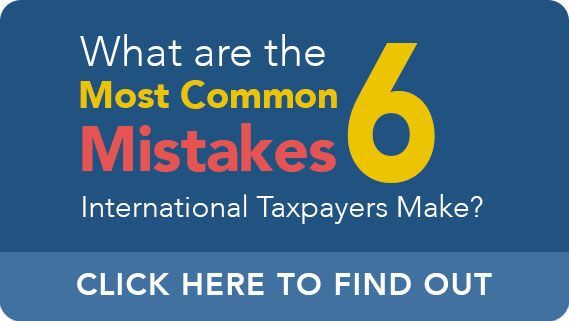 Therefore, taxpayers who know they have made an offshore error, are typically well-served by contacting a tax professional who can help them with Streamlined Disclosure as soon as possible. For more than 30 years, Ted Kleinman has provided expatriate living in nations like England, France, India, Brazil, and Saudi Arabia with the guidance they need to comply with all U.S. tax laws. The above sets forth two scenarios where taxpayers would be prudent to seek guidance in a timely manner prior to taking any other action. To schedule a consultation at U.S. Tax Help, please call Ted at (541) 923-0903 today.